He and an accomplice held a gun to the head of the manager. The Spar on Stiles Road where the robbery took place. A RELATION OF murdered Dublin man Gary Hutch has appeared in court charged with holding up a Spar shop with an imitation firearm. Derek Hutch is a first cousin of the deceased man, whose family are involved in a bloody feud with the Kinahan crime gang. During the raid Hutch and accomplice Christopher Coakley held a gun to the head of the shop manager and demanded the code for the alarm. Gardaí caught them in an empty house near the scene of the robbery a few hours later. They were trying to hide the notes and coins they had taken. Judge Ryan said she wants to see if Hutch has truly reformed himself. She placed him under probation supervision until November 3, 2017. Hutch (26) of Liberty House, Dublin pleaded guilty at Dublin Circuit Criminal Court to possession of an imitation firearm and robbery of the Spar shop on Styles Road, Clontarf on June 11, 2015. Garda John Fitzgerald told prosecuting counsel Marie Torrens BL that Hutch and another man escaped with about €1,215. A short time later Garda Fitzgerald was searching nearby when he noticed a brick which looked like it had been used to gain entry to a building. He looked inside and found the men trying to hide a large number of coins. They were arrested but Hutch refused to answer questions during interview. About €700 was recovered by gardaí. Mr Rea said Hutch has taken “a turn away from his old life of drug abuse and wrongdoing.” He said Hutch has two children and is now drug free. “If anyone knows about the consequences of wrongdoing, it’s Mr Hutch,” counsel said. Hutch’s co-accused, Coakley (25) of Belvedere Place, Dublin 1 was jailed for six years for the robbery and other unrelated offences in 2015. That sentencing hearing heard the men got in under the shutters of the shop and “floored” the manager before dragging her down the aisles demanding the keys. The alarm was going off and they pointed an imitation gun to the woman’s head to force her to give them the code, the court heard. She instructed the men how to turn off the alarm but when they were unsuccessful she was held by the neck and pulled over to deactivate it herself. The woman was continually held by the neck and dragged as the robbers demanded that she get them the safe. Email “Hutch relative in court charged with holding up Spar shop with fake gun”. 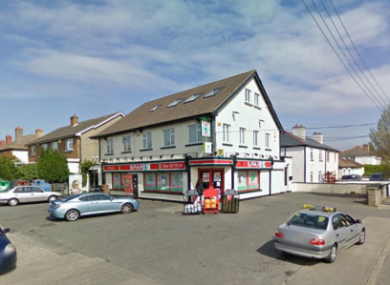 Feedback on “Hutch relative in court charged with holding up Spar shop with fake gun”.